Get set to shred by tweaking your controls and your contact points. There are few greater pleasures in life better than a well tweaked cockpit. Wide bars. Short stem. End of. We’re always banging on about fitting wide handlebars (anything over 750mm) and short stems (under 70mm) because they improve control. If you’re buying a bar, make sure it’s at least 750mm, as you can always cut it down if it’s too wide. Look for a seven to nine-degree backsweep to position your wrists naturally. Try a stem no longer than 70mm. 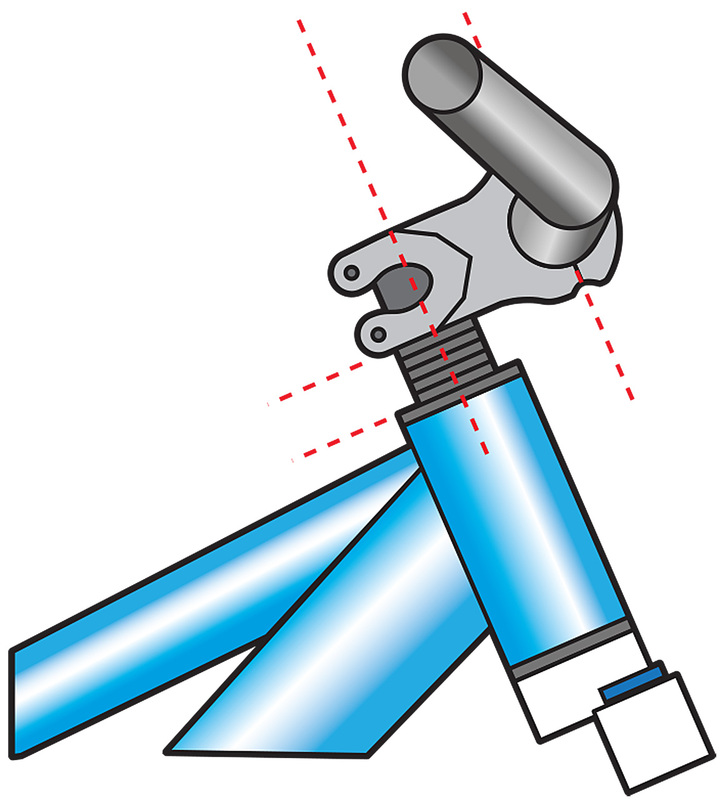 Tinker with your bar and stem — try dropping it down a spacer or two so it’s closer to the head tube if you feel like you can’t load the front of the bike enough. If you ride steep trails and want a bit more security, raise it up. You can create more space for yourself too by rolling the bars slightly forward, bringing the front end higher and further from you. Modern disc brakes are powerful enough for one-finger braking and need to be positioned as such, with the blade close enough to reach/rest without stretching, leaving the other three fingers and thumb free for a stronger grip on the bars. 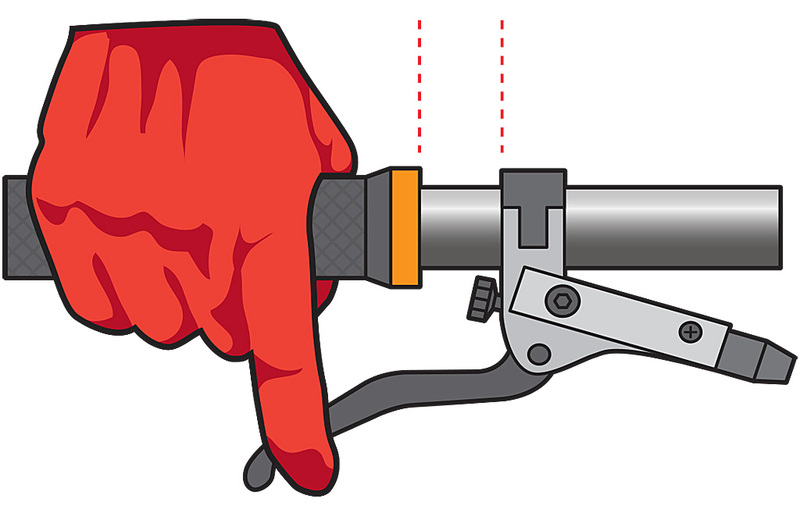 Move your levers inwards to the point where your index finger makes the most of mechanical leverage near the lever tip. Also, tilt blades into the three o’clock to five o’clock window (looking from the drive side) to get the angle right — too low requires a ‘claw-like’ grab to brake, which reduces wrist stability. If this feels too high, remember the levers will be angled further forward as the bike points downhill. Keep cables away from the frame, if possible; if not, ensure it’s properly shielded from abrasion in rub spots with helicopter tape. Try small plastic widgets to hold the cables neatly together, and when replacing cables, ensure they aren’t too long. Shifters should be flickable from a standard riding position. 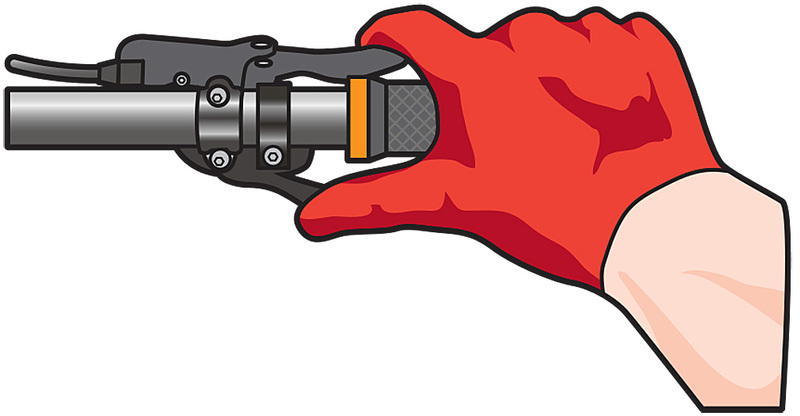 Depending on the brand, this could be either side of the brake lever. Use the tuneable window of movement to position without overlapping grips, as shifters can distract — out of the way and a slight stretch to push is preferable. 1x drivetrains free up left-hand-bar real estate for remote dropper posts; flip them upside-down to swap if needed. Get a grip. Preferably two. 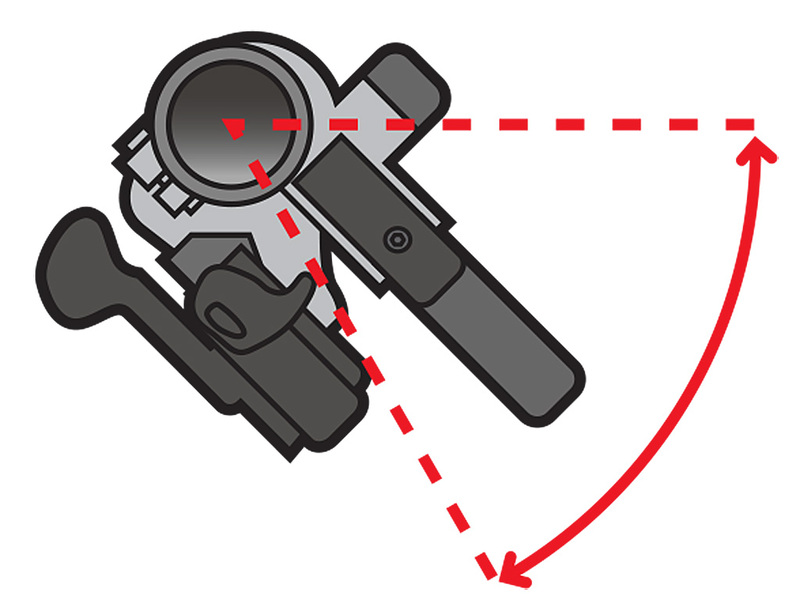 Vitally important for precise bike control, grips are your contact points for direction control, so you don’t want them feeling vague. Too fat, thin or uncomfortable, and your hands and arms get tired. Choose a size that lets your hand close easily around it with your fingertips just touching the palm. Secure and non-twisting is essential for safety, but also to feed back information from the wheels to your brain. 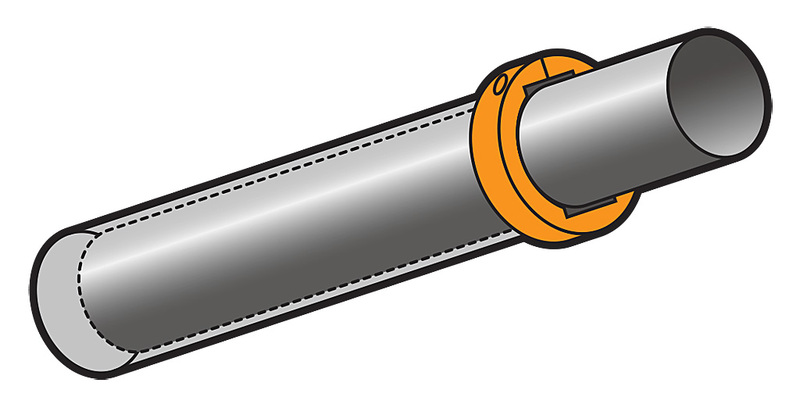 Silicone grips can be more comfortable and damped, as the padding extends through to the handlebar rather than ‘floating’ on plastic tubes inside lock-on models. Bulky locking collars on the outer edges can also put pressure on the outside of the palms on extended descents. You can cheat a little here and get effectively wider bars; just push your lock-on grips out 5mm over the ends of the bar — there’s still plenty of support. 2 x 5mm = 1cm, which is surprisingly noticeable believe it or not.